Islamophobia is real; take a look at the past several months of American politicking and all the proposed legislation that circulated through our highest offices if you don’t believe me. To some extent, it was even successfully implemented and imposed a travel ban on several majority-Muslim nations, barring entry of those originating from those countries. Now, while I will not claim to know all of the ins and outs of political methodology, it’s not difficult to see why there is such a fear of the Muslim community. For those of us that were around to experience it, our generations “where were you” moment was most definitely September 11th, 2001, just like generations before us experienced the attack on Pearl Harbor or the assassination of President John F. Kennedy. The vivid memory and the uprising of propaganda of conflict between Muslim nations and the Western world that propagated from it still exist to this day. And with the rise of militant groups such as ISIS, the message that many try to send has only seemed to get even clearer. Muslims are the enemy. For the record, I don’t agree with this line of thought whatsoever, but it’s obvious to see the ripple effects that something like this has on the American people and their view of the Muslim community. I once spoke with a woman who openly expressed a fear of Muslim women who would enter grocery stores wearing the hijab. Her reaction was that she was afraid they might have bombs strapped underneath. This is the sort of ignorance that our country has come to embrace. Similar to profiling teenagers for wearing hooded sweatshirts in public that make them look suspicious by default (you know the incident I’m referring to), the assumption that anyone wearing a hijab might be coming into public buildings with bombs strapped to their chest is utter lunacy. Granted, I’m not saying it couldn’t ever happen, but the fact is that the modern propaganda has altered much of the nation’s view on Muslims and we now hold them accountable on everything they do that differentiates them from other religions or cultural backgrounds. Which borders very close to – if not, crosses into the territory of – racism. Now, some of you may be tempted to argue that being Muslim is not a race, so it’s impossible to be racist against them. And to that, you would technically be right. People are not simply born Muslim as they are with darker or lighter skin – it is a result of choosing (freely, in an ideal circumstance) to follow the beliefs and practices of the religion. But, there are some who would argue that the entire concept of race is just a load of garbage anyway. Yes, there are defining physical qualities that separate some humans from others, whether it be complexion or stature or something else that we can’t help but accept as part of our lot in life. But there are some who would argue the fact that many of us decide to divide the world population up into nice, neat portions is little more than an arbitrary social construct based on (arbitrary) sovereign borders because our long-lost ancestors decided to settle in certain places a long time ago. And is often the case, as one Stuart Hall might argue, these sorts of differences picked out are done so due to an imagined sense of superiority in terms of cultural sophistication – the same stereotypical way an admirer of ballet and symphony orchestras might look down upon those who go for rock and roll or rap music. The point of all this is that, while racism might not be the most accurate term to describe prejudice against Muslims, there is very much a strong prejudice in the American community. Whatever word is put to it, the fact remains that Muslims suffer from stereotypes and heavy profiling – a lot of it due to the government’s handling of international affairs and the worldview that is painted by a handful (radical militants) compared to the reality of the rest of the entire Muslim community. This entry was posted in General on September 10, 2017 by Vicki Black. 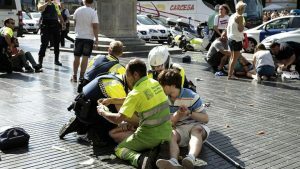 Are Muslims To Blame For The Barcelona Attacks? After a terrorist attack, it can be very easy for those who are skittish to automatically assume that all members of a particular group are dangerous. Whether it’s a right-wing white guy who had problems with the federal government (see Tim McVeigh) or if it’s a terrorist group which operates on a religious basis (ISIS, al-Qaeda), it can be considered “safer” to stay away from anyone who looks or appears to be connected by race, religion or gender to a terrorist. But does painting with so broad a brush really help anyone, or does it just make us more divisive as a people? Apparently in the wake of the terrorist attacks in Barcelona, Spain, last month, many residents of Spain have taken to retaliatory acts against Muslims in the area, even those who are innocent of the attacks. Up until the attacks, Muslims were able to live in peace and were left alone. But after the attacks happened – for which ISIS claimed responsibility – Spaniards and other Europeans seemed to have taken umbrage to all Muslims in the area, though the main suspects in the attacks have been arrested already. A new wave of “Islamophobia” seems to have taken root in Europe in the wake of these latest attacks, where peaceful and innocent Muslims seem to be targeted simply based on their religious adherence that seems to be consistent with those of the ISIS terrorists. But the question is, is it fair to blame Muslims for the terror attacks? This is where we get into having to split hairs on a razor’s edge. After all, while yes, the Crusades were a series of battles involving Christians – not all Christians were involved in the Crusades. The same can be said here in terms of modern-day terrorist attacks. While we may know the labels of these terror groups – ISIS, Hamas, Hezbollah, al-Qaeda or Boko Haram – and they all claim to be based on Islam, it does not mean that all 1.5 billion Muslims are terrorists or practice the fundamentalist dogma about a caliphate. In the last few years, it seems that all terrorists have been Muslim – but the reality is that not all Muslims are terrorists. The terrorist ideology is not necessarily the same that all Muslims espouse or practice. While the basis for the terrorism is rooted in the Qu’ran, there are also interpretations of the Bible that lead Christians to kill (terrorizing abortion clinics for example). But we also know it is not fair to paint all Christians as terrorists either. To execute terrorism takes a certain unorthodox logic or reasoning (that may not be logical) to justify the killing of people. Some of this is mentioned in the Qu’ran, but many Muslims – like many Christians – tend to take the holy book in its spiritual intent and not its literal words. It is often the literal and only the literal that seems to breed terrorism or at least extreme behaviors. So are Muslims responsible for the Barcelona attacks? Only on an individual level, yes. It is too simplistic and dangerous to blame all Muslims for the heinous acts of a few. The Islamophobia that has run rampant is unfortunate nd actually does not help the situation in eradicating terrorism for all corners of the globe. It actually is making things worse. This entry was posted in General on September 6, 2017 by Vicki Black. Is Superman Really A Muslim Story? All of us have the ability to make or perceive lasting first impressions, whether with real people or fictional characters. When we think of our favorite childhood superheroes, chances are we remember a specific event that stayed with us for an emotional or personal reason. Something close to our heart. Chances are we remember a specific character trait that carried over because we found it was relatable. But what about the newer versions of old classics? Well, when Batman V Superman was released, most of us probably never thought it could tell the tale of many Muslim Americans living here today. But why not? 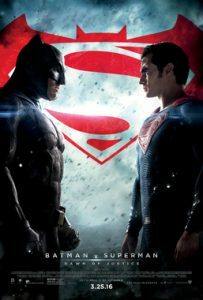 Batman V Superman wasn’t everyone’s favorite film, and perhaps for good reason at the time. In fact, fans and critics alike seemed to hate it. It was too long. It didn’t have enough action. It was too broken. The ending was sappy and sour and terribly contrived. Then again, that was over a year ago, long before we were graced with a wealthy president who thinks nothing much of spouting radically divisive nonsense to the masses–sort of like Batman did in the movie. No one seemed to like the extremist version of Batman, but maybe we should have read more into it at the time. Maybe instead of rooting ourselves in hatred of a fictional world, we should have recognized the way it echoed the real one. Then you have Superman, an…alien? Who could he possibly represent in modern-day America? Is he really the grave danger that everyone thinks he is? Possibly not. Of course, the same could be said of the real world immigrants from countries some mistakenly, carelessly, or ignorantly link with terrorism. Do we really need travel bans or a great big expensive wall to protect us from outsiders? The movie’s depiction of Superman on his journey through the darkness around him and into the light might have been taken for granted. In the real world, most of us haven’t quite made it into the light just yet. We don’t let immigrants simply come into the country and immerse themselves into society while clinging to the values and traditions of their original homelands. We expect them to conform to our ways of thinking, our ways of doing, and our ways of acting. That’s what we’re most comfortable with, and somehow most of us seem content thinking that’s for the best. Your identity doesn’t matter unless it’s the same as our identity. Batman V Superman does get some things right when we consider the movie in this somewhat crazily different way. The characters are real. Whether through fiction or reality, they come alive and make sense to different people in different ways. Some are xenophobic, scared of the little differences that make us who we are, and that xenophobia transforms both the hater and the hated in ways that vary from person to person. It also leads to hate crimes. The locked chest in which that xenophobia was hidden was one built of ignorance and misunderstanding, and breaking it open proved difficult. Can we in the real world hope to accomplish what characters in a movie accomplished, or will our nightmare play out in perpetuity? It seems like we’ll know the answer to that question soon enough, as events in the real world continue to escalate relentlessly. Please visit website for more. This entry was posted in General on September 4, 2017 by Vicki Black. Jews VS Muslims In America? When we think of different races or cultures or religious followings, they evoke strong emotions for widely varying reasons. It’s nearly impossible for anyone to say they don’t immediately judge another–even if on a smaller scale than those of us who are more openly fearful, racist or xenophobic. We all stereotype to the detriment of ourselves and others, even if we don’t want to. We all base our opinions on the experiences we’ve had or shared with others, and we all live our lives in the same way. Here in America though, how do those of the Jewish and Islamic faiths compare with one another? Do the demographics of these two subsections of America prove any of our preconceived notions wrong? Read on to find out. First, here’s a big standout from studies done by the Pew Research Center on both groups, which handed out surveys to Muslim and Jewish Americans. If you grow up Jewish in America, then a coin toss will decide if you lean to the left or to the right. By comparison, only just under a third of Muslims consider themselves liberal. Even so, 80 percent of Muslim Americans voted Hillary while 70 percent of Jewish Americans voted Trump. Probably not too surprising, considering Trump’s treatment of the Islamic community. Jewish American are more likely to graduate college and subsequently earn more dollar bills each year than their Muslim American counterparts. That said, Muslim Americans weigh in these two demographics at about the same as the average American, while Jewish Americans just happen to weigh in a little bit above. This factoid is usually teased in popular culture, but perhaps that stems from jealousy. We have a deeply rooted passion for stigmatizing the poor, so surely we can’t do the same to the wealthy–right? Fewer Muslim Americans intermarry. In fact, they do so only about thirteen percent of the time, while Jewish Americans do so about 58 percent of the time. Muslim Americans are far more likely to report having faced discrimination than their Jewish counterparts, only fifteen percent of whom feel they’ve been discriminated against. In just the last year alone, about half of Muslims have experienced hate-based discrimination. Even so, 90 percent of Muslims are proud to be citizens of this country. Perhaps not surprisingly, the views of the average Muslim American contrast with the views of the average American when considering violence. 59 percent of Americans feel that violence doled out among civilians can be deemed justifiable at least some of the time. In stark contrast, 75 percent of Muslim Americans say this is completely unacceptable–casting doubt on the longstanding average American belief that Islam is a religion seated in violence. Maybe it’s just the rest of us who are obsessed with violence? Some of these statistics might come as a surprise, while others might skirt around truths we already feel we know. In either case, it’s for the best to reduce assumptions and treat others as we’d like to be treated. We all have differences, and we all have relatability. It’s our job to embrace both. This entry was posted in General on September 2, 2017 by Vicki Black. Many people have heard of the term “kosher,” though fewer technically understand what it means outside of being a Jewish term toward certain foods. In terms of food, the word refers to anything that is “proper” to eat according to Jewish law. In order to be considered kosher, various conditions must be fulfilled. For example, in order for meat to be kosher, an animal must possess cloven hooves and be known to “chew its cud” – “cud” referring to already-partially digested food. Beyond this, though, other conditions regarding preparation need to be met in order for food to be considered kosher. And while it is may be less commonly known in parts of the Western world, Islam has similar processes by which they grade their food as well. This slaughterer must say the name of God before killing the animal. This is done to sanctify life and to proclaim that the animal is being slaughtered for the sake of food with the consent of God. The animal must be killed with one continuous motion of a sharp knife. This knife must be sharpened and free of blemishes that may tear at the wound and cause undue suffering to the animal, and the knife may not be sharpened in the presence of the animal that is being slaughtered. Also, the animal may not be slaughtered in view of other animals. The cut must sever at least three of the trachea, the esophagus, and two blood vessels on either side of the throat. The spinal cord must be left intact. Animals must be well-treated before the time of their slaughter, and they must be alive, healthy, conscious and in a comfortable position at the time of slaughter. Carrion is considered haram by Islamic law, and animals cannot suffer death by any means other than a single cut to the throat with a sharp knife in order to be considered halal. After an animal is slaughtered, the animal must be allowed to bleed out before it is processed any further, as blood is also considered haram in Islamic law. This entire process of slaughtering is known either as Zibah or Zabihah, and it is considered by Muslims to be the most humane method of killing animals for the sake of halal food and food in general, criticizing the use of captive bolt stunning. While there is argument made toward this that the bloodletting of an animal after the cut could be considered inhumane due to pain potentially registered to the animal, Muslims argue that – in a proper Zabihah – the animal loses consciousness within seconds before the brain can register pain, and the animal eventually dies due to cerebral hypoxia (deprivation of oxygen to the brain) rather than actual blood loss. 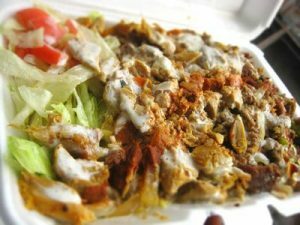 Other conditions for halal food exist beyond the slaughtering of animals. For example, halal food prohibits the consumption of alcohol or any other intoxicant, swine-based products such as pork or bacon, animals of a carnivorous persuasion, and lard among many other products. This entry was posted in General on August 31, 2017 by Vicki Black. Are Muslims Allowed To Have Dogs As Pets? For a long while, there has been a great debate within Islam as to the cleanliness of animals and, more specifically, dogs as house pets and companions for humans. But what is it that sparks such debate within the Islamic community while many other communities the world over enjoy the company of dogs as intimate members of their families? Controversy has existed due to varying historical points of view toward these animals. Some historical sources appear to claim that the Prophet Mohammed himself completed daily prayers directly in the presence of dogs. Similar sources also claim that his followers habitually raised puppies and that the holy city was frequently populated by dogs. However, there are also beliefs that contradict these claims. One of the hadiths – spoken and practiced lessons by the Prophet Mohammed – claims that Mohammed himself believed dogs to be “unclean,” and it is therefore considered haram (an act forbidden by the Qur’an) even to touch a dog, let alone own one. This claim, as it turns out, however, is only partially true. 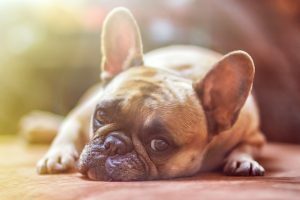 According to an article written by Dr. Ayoub Banderker, there are several considerations regarding dogs and haram in Islamic law that have quite possibly been misconstrued. For one, it is not considered haram to own a dog (although Dr. Banderker goes on to specify that it is also not considered hygienic to keep a dog in the house, thereby making it not permissible). He also emphasizes that it is not haram to touch a dog. However, if a dog’s saliva comes in contact with clothes or skin, the person is then responsible for washing that part of their body as well as any clothing that was affected in this way. At this point, we can already see a pattern developing that while the pure ownership of a dog does not appear to be forbidden or even necessarily discouraged (as Banderker makes the argument that dogs are part of Allah’s creation and therefore should not be considered cursed or misaligned in any malicious form), hygiene is still an explicit concern regarding dogs and direct contact with them. Like many other advocates for animals, Banderker stresses the need for Muslim dog owners to treat their dogs without cruelty. This includes food, water, and shelter – the basic amenities for all living creatures. He goes on to include providing adequate veterinary care so as to avoid allowing the dog to suffer until they are beyond help. This particular point of interest appears to be a known problem among many who seem to interpret the ownership or treatment of dogs as haram. Dr. Banderker makes note of pets (specifically, many of which are dogs) who seem to be relatively animals as a whole, being brought in to shelters around Cape Town for euthanasia procedures. He has made similar notes toward animals that had reached terminally ill states being brought in for similar procedures. When questioned, many Muslims appear to have cited their religion, stating that it was impossible to touch their pets (thereby refusing them treatment). This “apathy” as Dr. Banderker calls it, has led to numerous unwanted litters that are eventually left abandoned to die. Beyond the obvious cruelty to the animals, however, there is also the point of a stigma on Islam as a religion that effectively supports this cruelty, both propagated by the views of those committing these acts and believing them to be the will of their religion and by those looking in from the outside without understanding what is happening or why. This entry was posted in General on August 29, 2017 by Vicki Black. Religion has never been any kind of obstacle or prerequisite for service in the U.S. military. Whether you are Christian, Jewish, Muslim, atheist, Hindu – if you feel a calling to sacrifice for the freedoms the rest of us enjoy, you have that right and privilege as an American. While religious faith plays a role in case a soldier, airman, marine or sailor is killed in combat (to know the right burial rituals to follow at Arlington National Cemetery), generally a person’s religious affiliation plays no role in a person’s assignment either on the front lines or in support of the combat forces. You serve where you are sent. Because religion is never an issue in military service, it is often difficult to actually know much about the history of a particular religion within the military without people overtly stating or sharing their beliefs. It is believed, however, that Muslims have a long history of service in the armed forces, believed to go back as far as the Revolutionary War, fighting for the rebels. Is it true? There is some reason to believe that it’s possible, but as we can often note, a person’s last name doesn’t always give away their religious affiliation, only their ethnic background. But the history of Muslims in the military has come to the forefront in recent months, due to comments made by then-presidential candidate Donald Trump about Muslim-American parents of Army Capt. Humayun Khan, who was killed in Iraq in 2004, comments which disparaged them after they were presented on stage during the 2016 Democrat national convention. There is a book out now that discusses the history of Muslims in the military, and there is a Wikipedia page dedicated to the subject, as questions about the honor and sacrifice of Muslims have risen to the fore because of the comments made by Mr. Trump during the campaign. It wasn’t until Trump brought up the subject that anyone had even questioned the courage of sacrifice of Muslims in the military as any different than the sacrifice by Christian, Jewish and atheist servicemen and women. And it is certainly not to say that any sacrifice should be questioned based on any religious or cultural grounds. Sacrifice is sacrifice for one’s country, regardless of background, talk about your workplace injuries. It is believed, however, that one of the earliest Muslim soldiers in the U.S. military was Cpl. Bampett Muhamed, who served in Virginia back in 1775. The truth is we do not know unequivocally that Muhamed was a Muslim; he was certain to be of Arab descent. Much of the history is based on guesses – not necessarily informed hypotheses, but rather from some blind bigotry based on a name. However, it is noted that an estimated 15,000 Muslims fought for the United States in World War II, focused in the North African theater, and at least a dozen known Muslims died in the Vietnam Conflict. 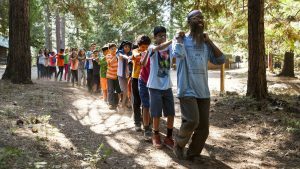 Nearly 300 Muslims are confirmed to have served in the Civil War for one side or the other. Perhaps the most noteworthy Muslim service member was Marine Col. Douglas Burpee, who was a 27-year veteran helicopter pilot who converted to Islam while a student at USC in the late 1970s. When he retired he was the highest-ranking Muslim to serve in the Marine Corps. Thanks to Donald Trump, the role and value of Muslims in the military is being explored with more vigor and interest than perhaps at any other time, and those who did serve with distinction need to be honored not only by all Americans but also by the Muslim brethren who have unfailing loyalty to their brothers and sisters in arms as well as to their country. This entry was posted in General on July 29, 2017 by Vicki Black. 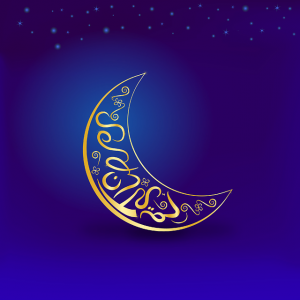 Why Do Muslims Fast During the Month of Ramadan? According to Chapter 2, Verse 185 of the Qur’an, the month of Ramadan in which the Qur’an was revealed, it’s necessary to prove that you are a true believer in the faith. To show this devotion, believers are instructed to fast at the sight of the first new moon of the month. This is not meant to punish believers but meant as a way to show faith and praise Allah for guiding believers and to show gratitude for all that he has done. Fasting, however, is more than simply not eating all day. Fasting includes not drinking, not eating, no sexual relations from sunrise to sunset. Once the sun has set, all of these activities can be resumed. The goal of this is to achieve what Muslims call taqwa or purification in the heart and mind, rejecting all things evil and accepting all elements of righteousness. Fasting is considered to be one of the highest degrees of obedience because the human is fighting off his animal instincts such as hunger and thirst, greed and lust. He himself becomes more divine and one with God, like a long term care planning attorney Staten Island. Some Muslims believe that they reach a higher spiritual plane and learn how to improve themselves ultimately improving society, while others, as they start to feel hunger and thirst, understand the plight of the less fortunate and look to improve society in that way. Something interesting about the fact is that if people do not do it for the entire month, any days that they missed (for example, if they were pregnant or sick), can make them up by fasting before the next period of Ramadan. This is called qada’. As previously said, fasting is not about punishing the believers but a quest to achieve spiritual enlightenment and gratitude that Allah has provided this opportunity. This entry was posted in General on July 27, 2017 by Vicki Black. South Park creators, Matt Stone and Trey Parker made the mistake of depicting Mohammed in an episode. The backlash was unprecedented. You are not to make image or picture of anything in heaven or on the earth or in the water under the earth. There are many interpretations of this passage in the scriptures. In ancient times, pagans worshiped idols or icons. This commandment is what made Judaism stand out from the other religions of the world at the time. That their God was “invisible.” Very religious Jews do not have photographs or portraits because humans are made in God’s image and that might be breaking this commandment. Christians have a much looser interpretation of this scripture. As some of you may know, Catholics consider Jesus Christ to be devine which goes against the first commandment. Have you ever wondered why Jehovah’s Witnesses are all doomsday and fire and brimstone? Because they feel that modern CHristians are actively breaking this commandment. Which brings us make to Islam. The Islamic tradition of not depicting Mohammed is almost sort of a combination of Judaism and Christianity. In response to Christians who have turned Jesus into a divine figure, Islamic Scholars did not want the same thing to happen to Mohammed. They believe that there is ONE God and he alone should be worshiped. They also believe in the Jewish sensibility that man is in the same likeliness of God and therefore should not be depicted. For the record, the Quran never explicitly states that drawing or depicting Mohammed is forbidden, but through interpretations of the first commandment and in response to the growth of Christianity, this tradition has been continued. This entry was posted in General on July 25, 2017 by Vicki Black.